California's gun violence restraining orders (GVROs) are among laws in a handful of states that allow police or family members of gun owners who show signs of wanting to cause harm to request a court order that can prohibit the person from possessing or buying a gun or ammunition. How effective are they in preventing injury and death in San Diego? 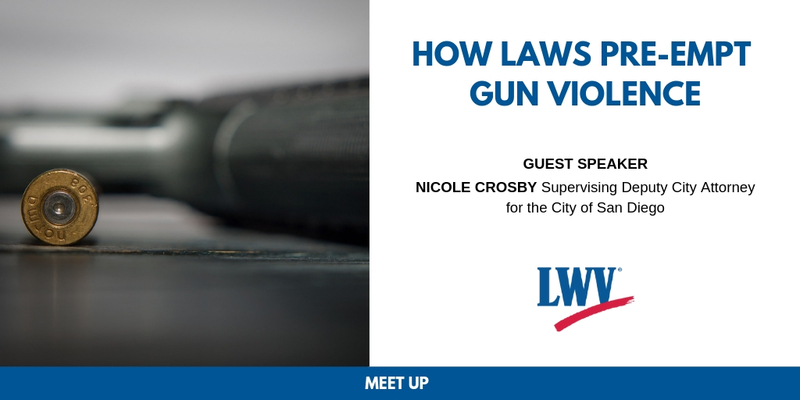 Come hear Supervising Deputy City Attorney Nicole Crosby discuss San Diego's GVROs.